A company known for publishing books of interest to Christians has generated criticism for agreeing to publish a memoir from Jennifer Knapp—a former contemporary Christian singer who now describes herself as a lesbian. 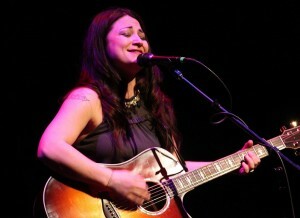 Jennifer Knapp, now 40, was a popular Christian singer who won Dove Awards and a Grammy Nomination during the late 1990s and early 2000s. However, twelve years ago, Knapp suddenly left the Christian music industry, moved to Australia, and entered into a relationship with another woman. She now describes herself as a lesbian but claims she is still a Christian. This year, the faith-based publishing arm of Simon & Schuster—Howard Books—will release a book written by Knapp titled Facing the Music: Discovering Real Life, Real Love, and Real Faith. “This is [Knapp’s] story—of coming to Christ, of building a career, of admitting who she is, and of how her faith remained strong through it all,” the book description states. Howard Books publishes works from many well-known Christian authors, including Dave Ramsey, Dr. Charles Stanley, and the Duggar family. A member of the Evangelical Christian Publishers Association, Howard Books’ goal is “to inspire readers one word at a time” through faith-based publications. Founded in 1969, the company originally published for the Church of Christ, but soon broadened its base to reach evangelical Christians at large. In 2006, Howard Books was purchased by Simon & Schuster, a secular company that continued to publish books through the label that it believed would interest Christian consumers. Jennifer Smith, publicity director for Howard Books, told The Washington Post that Knapp’s journey from Christian music fame to homosexual advocacy is a story worth telling. Despite the endorsement from Howard Books, many people believe that Christian-themed publishers should not proliferate pro-homosexual material. As previously reported, a similar situation recently unfolded when Convergent Books published the pro-homosexual book God and the Gay Christian. Following an outcry, Convergent Books parted ways with the National Religious Broadcasters.